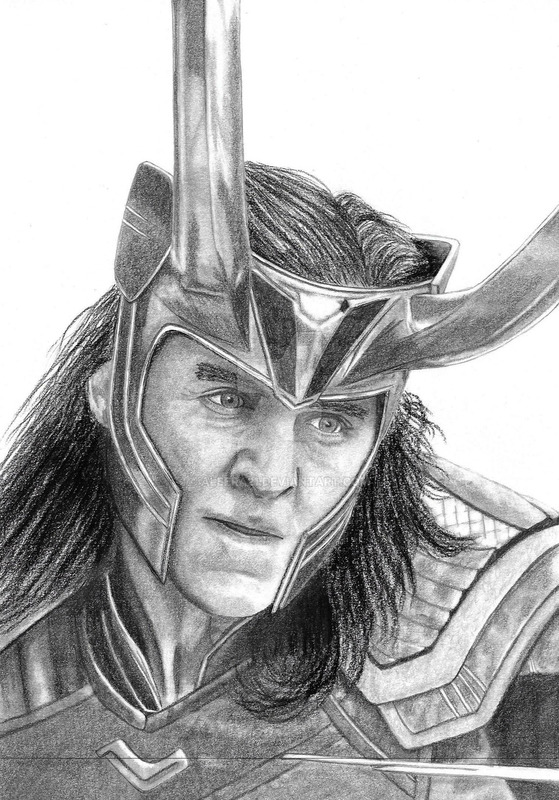 A sketch of Tom Hiddleston as Loki from the poster for Thor: Ragnarok. Minor adjustment to contrast in PS as my scanner always kills it, but otherwise as drawn. This was my first time working with charcoal alongside graphite, and overall I am happy with the result. It definitely helped with contrast, though I need to get some better quality charcoal pencils before I try it again. Loki here will be my last sketch for 2017 as I have a busy end to the year, but I look forward to trying some new portraits in 2018. I already have a few lined up.